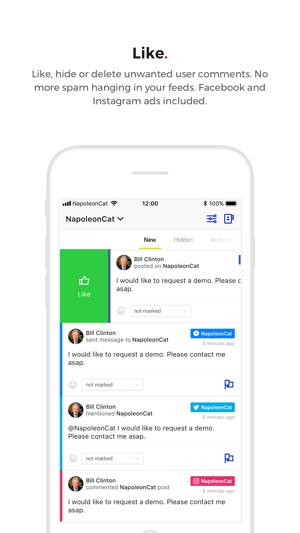 ​NapoleonCat is a social customer service and analytics platform that helps you communicate with your customers on Facebook, Messenger, Instagram, Twitter and YouTube. 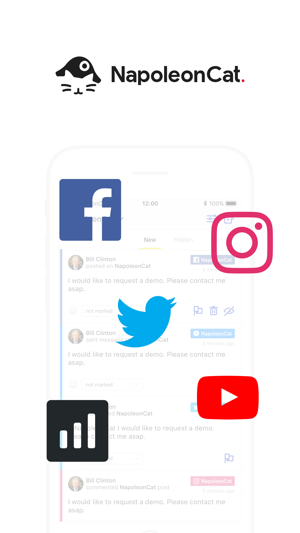 ​Now you have all your important social media channels in one place. 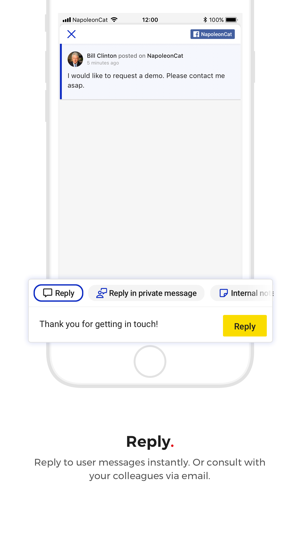 The mobile version allows you to monitor discussions, reply and like user messages as well as leave internal notes for other moderators working together with you. 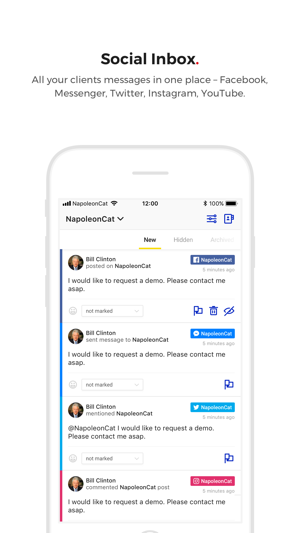 Of course, you have access to all your projects, so you can easily switch between your clients. 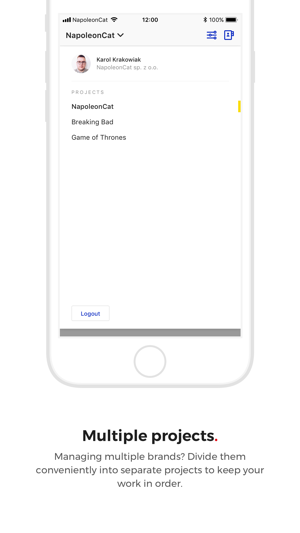 We've added bug fixing for unavailable fans profiles. Napoleon Sp. z o. o. 2018 © Napoleon sp. z o.o.